The gloss and matte finish combined in these mosaic, along with the natural stone, it’s easy to coordinate stones and porcelain for a dramatic statement in any residential or commercial project. 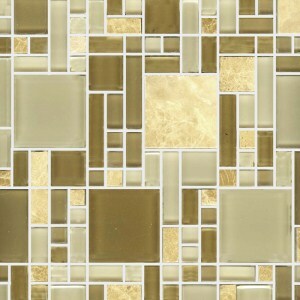 Mosaic Glass and Stone tile is an easy way to add a splash of personality to your kitchen or bathroom backsplash. Be creative, if applied strategically or subtly, glass tile can be both classy and chic. The Luce Glass Collection is available in a variety of shapes, patterns and tones that can visually enhance the appearance of any space.